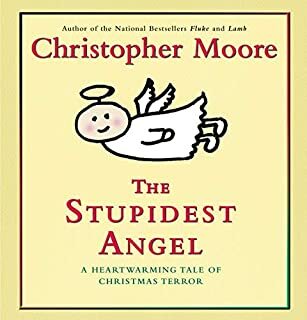 This is a great book, I found myself laughing outloud and remembering lines from the book in the middle of the day and laughing (and freaking out my coworkers in the process!). Fisher Stevens does an EXCELLENT job reading as a Beta male. You'll find yourself wishing you could "kitty" people throughout the day so that they'll "take the big ambien!" Twas the night (okay, more like the week) before Christmas, and all through Pine Cove, California, people are busy buying, wrapping, packing, and generally getting into the holiday spirit. This audiobook should have been better, but unfortunately, the narrator isn't able to deliver what should be some very funny passages. 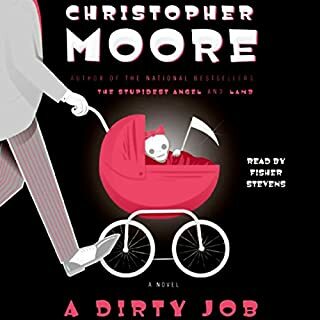 I enjoyed "A Dirty Job" quite a bit, Fisher Stevens read it very very well. I'd recommend passing on this one. The smash hit Left Behind saga, the best-selling inspirational series of all time, comes to its extraordinary conclusion in this thrilling audiobook. Glorious Appearing picks up the action following the cosmic battle of the ages, and not all the members of the Tribulation Force have survived! These books aren't terribly well written and the characters are a little hokey, but the events are what hook you. 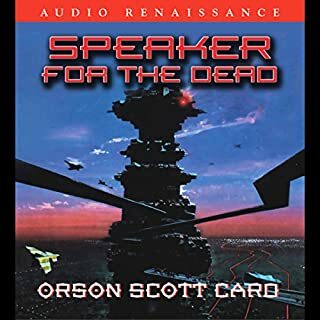 This narrator wasn't very good, but if you've listened or read the rest of the series, you've really gotta get this one...for the events. While in Paris on business, Harvard symbologist Robert Langdon receives an urgent late-night phone call. The elderly curator of the Louvre has been murdered inside the museum, a baffling cipher found near the body. 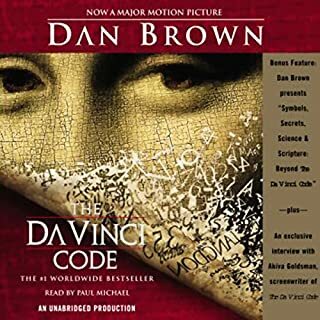 As Langdon and gifted French cryptologist, Sophie Neveu, sort through the bizarre riddle, they are stunned to discover a trail of clues hidden in the works of Da Vinci, clues visible for all to see and yet ingeniously disguised by the painter. Better than the movie, and the narrator is incredibly good. Paul Michael is one of the best narrators in the industry, and Dan Brown keeps you hooked with his twists and turns. 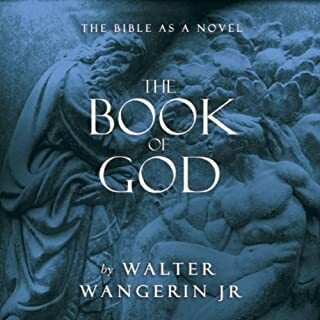 Narrated by: Walter Wangerin Jr.
Walter Wangerin, Jr. makes the Bible come alive in detail with The Book of God. Wangerin reveals the humanity and eternal messages behind the text. The Book of God is a sweeping history that covers thousands of years and hundreds of lives, in a myriad of foreign yet familiar cultures. The award-winning Wangerin has produced his magnum opus, a timeless masterpiece that rekindles the imagination and nurtures the spirit. I was so disappointed in this book. It was recommended to me by a friend as sort of a "bible as a novel," but wasn't very impressed. There were parts from the bible that were left out that I was looking forward to hearing, and the parts that were included weren't terribly well written. Also, this book is a big, bright reason why authors should never, ever read their own material. 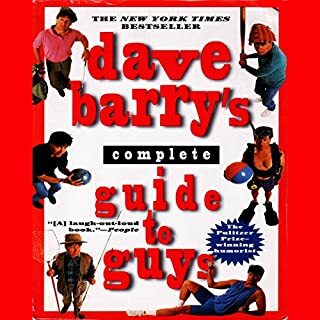 The American guy is not to be confused with a husband, father, hunk, or intellectual, says guy expert Dave Barry. Published just in time (the American guy faces extinction due to feminism, the men's movement, and stricter sanitation laws), this guide gives women helpful advice for understanding Him (or It) and offers men useful tips on remembering the names of their children and other dilemmas of life. Men are pigs...and Dave makes it funny! I couldn't stop laughing. Dave Barry is great and John Ritter delivers the material very, very well. It's only 3 hours or so, and very lighthearted, so give it a listen if you want to have a fun little diversion. In 1989, a shipment of 100 monkeys arrived at a biomedical supply company in Reston, Virginia. There, in a small complex across from a McDonald's and a playground, the animals began to get sick. Their intestines turned to the consistency of gumbo. One by one they died a grisly and horrible death. Too late, the custodians realized the culprit was Ebola, one of the deadliest of all known viruses. 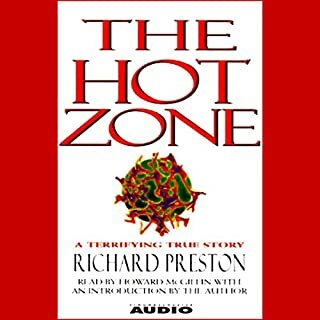 The Hot Zone reads like the finest fiction but is actually a true story. Scariest book I ever read! This was really well written and a bit frightening. It's amazing how devastating this disease is and how often and quickly it will kill. This book was eye-opening and written like a novel. John Corey at his best. 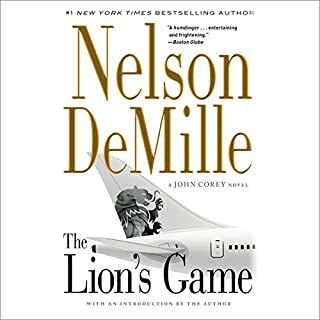 This is the book that got me hooked on Nelson DeMille. There's a great element of two sides of the coin here, and it's alot of fun to listen to John Corey's wisecracking and Assad Khalil's fanatical obsession. I read this book when I was in high school, and the audiobook definitely does it justice. My girlfriend listened to this and really enjoyed it too, and she likes some, but not much sci-fi stuff. She really enjoyed it, wound up listening to it in about 5 days and can't wait to listen to the rest of the series. 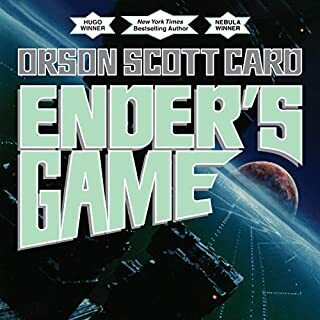 This takes place after Ender's Game and begins a sort of different type of story. Ender's Game is more action based, and the rest of the series has more geo-political and sociological themed. I'd recommend giving this a listen, but if you find it a little too thoughtful for you, you may want to skip directly to the Shadow series - those follow Bean, and are written more similarly to EG.